Visually the film is like some kind of Star Trek fan movie crossed with a National Geographic wildlife film, and is largely built around Gamble’s own years of ‘research’ into the question of what it is that “stops life on earth from thriving”. A reasonable question to ask, but his approach can hardly be called ‘research’ due to the low standards he accepts as ‘evidence’ and his all-round lack of critical analysis. His research, such as it is, is cherry-picked to deepen and support his established worldview, rather than the worldview being built from a careful analysis of the evidence. As we’ll see, this is a dangerous foundation. So here’s the film’s argument in a nutshell. Humanity is killing itself and the world around it because free energy sources are being deliberately kept from us, cures for cancer are being kept from us, all because we are controlled by an invisible elite who want to create a ‘new world order’ to control us all and prevent us from thriving. So let’s look at some of the film’s central arguments in turn. One of the key threads of the film revolves around free energy, the idea that we can generate unlimited clean energy by just tapping into the ‘torus’, a shape that supposedly pervades the universe (see right), and which could yield endless free energy. ‘Thrive’ would have you believe that there are dedicated independent scientists around the world bravely defying the laws of thermodynamics only to have their work seized by the FBI, their patents bought up and ‘lost’, or harassed into silence. Yet all we are offered as evidence is some grainy film of machines that could be anything doing anything, and some smart computer graphics of spinning torus shapes. If this amazing breakthrough that would rewrite science and win Nobel Prizes for anyone involved were actually a reality, and if you were going to spend huge amounts to make a film to argue for their existence which you would then put out into the public arena, surely you would get a working model of such a device into the studio with some impartial scientists to verify it in operation? If they actually exist, and actually work, then this wouldn’t be a big challenge surely? As Kyle Hill writes in his review of the film, “wanting something to be true does not make it more possible”, and “someone wanting to invent such a device is not evidence”. ‘Free energy’ is a world notoriously riddled with charlatans and cranks. “… so much of the pain on the planet has to do with the lack of access to energy”. Wow, now there’s a statement. How many people on this planet would argue that much of the pain on the planet has to do with the developed world having lack of access to energy? While of course for millions in the developing world, lack of access to energy is a huge impediment to being able to attain a reasonable standard of living and to move beyond poverty, in the developed world, cheap energy (you could argue that for the past 150 years fossil fuels have been so cheap that they might as well have been ‘free energy’) has allowed Western nations to conquer, plunder, colonise, mine, clearcut, dominate and oppress. While it has also allowed us to do many good things, energy cannot be seen in isolation from our relationship with other resources. Free energy would mean we would drain the aquifers faster, degrade the soils faster, work our way through the earth’s other depleting resources at an accelerated rate. Nowhere in the film is the idea of limits even mentioned, apart from occasional mentions that believing in ‘scarcity’ is one of our problems. Can anyone seriously argue that the United States (which is principally the focus of this film) with a new free source of energy would be a more responsible member of the global community? Would they happily share it with the rest of the world? (the current stand-off about Iran’s nuclear energy programme rather indicates that they wouldn’t). I would argue that it is only the realisation that we are nearing the end of the age of cheap energy, cheap fossil fuels, that is finally bringing some sense, some awareness of the fact that we live on a finite planet and that we need to live more responsibly. Gamble’s argument that we could have enough free energy “to transform the entire earth” fills me with dread and foreboding rather than excitement. We are told that oil companies are spending “huge amounts of money” suppressing free energy, with no evidence presented to support that at all. I would hazard a bet though that if even any money at all is spent on such things, it is a tiny fraction of what is spent on climate change denial, funding dubious organisations which attempt to undermine climate science, all of which gets no mention here. Of course we already have technologies that can harness natural energies and which provide clean energy – they are called renewables, we know they work, and we can install them today. ‘Free energy’ is a fantasy, and will always remain so. As Kyle Hill writes in his review, “just because the universe is hard to understand and many times mysterious, does not mean that anything goes”. Then we are bombarded with the full range of conspiracy thinking. 9/11 was an inside job, there is a conspiracy to suppress natural medicines, “Big Brother’s not coming, it’s already here”, we are one step away from a “military dictatorship”, a climate treaty in Copenhagen would have been “a tax base for tyranny”, there are ‘chemtrails’ in the sky to deliberately poison us, there is a deliberate attempt to reduce the world’s population underway, there is only a cancer epidemic because all the cures have been suppressed, etc, etc. UFOs are also brought into the picture, which is odd as they serve little to deepen his argument, rather the argument seems to go like this: there are UFOs and they are extraterrestrial craft, and in order for them to have got here, they must have free energy machines, so therefore the Elite must know about this and be keeping it from us. As he writes on the film’s website, “if we can expose the suppression, reveal the truth about ET visitation, and further develop new energy technologies that ETs apparently rely on, then we can decentralize power and make massive strides toward a thriving future”. I’ll leave you to decide whether that 2+2+2=9 kind of logic makes any sense to you, and whether the word ‘apparently’ constitutes an evidence base. Naturally, no evidence is presented to support this other than a few fuzzy videos of lights in the sky in different parts of the world. Wheeled out as ‘experts’ to support the film’s arguments are Deepak Chopra and, erm, David Icke, among others. Gamble is keen on talking about “my research”, yet his research, such as it is, is so undemanding that I am reminded of Sir Terry Frost’s words, “if you know before you look, you cannot see for knowing”. Gamble wheels out the classic conspiracy theorists’ gambit, “could I be wrong? Perhaps. But what if I’m not?” No, you are wrong. And even if you were right, you have presented us with so little evidence to back up you claims that you would have no way of knowing whether you were right or not. He also does the other classic conspiracy theorist’s trick of saying “don’t just take my word for it, do the research yourself”, offering links on the film’s website that all back up his arguments, rather than giving a rounded balanced view of arguments and counterarguments. There’s some dreadful rubbish on there, the film ‘The Great Global Warming Swindle’ is presented as evidence that climate change is probably not a problem, for example, and the appalling section on climate change beautifully states “those who point to solar activity as a cause of global warming are often ridiculed and accused of being funded by the oil industry, even when that’s not the case”. “Even when”? 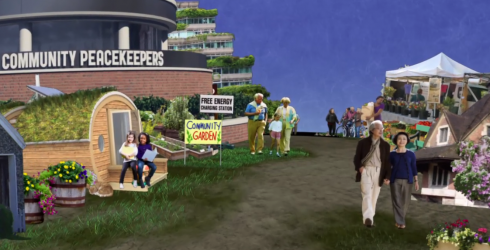 Thrive's vision of a thriving world: no taxes, no government, 'free energy charging stations' and community markets. The solutions are already out there, there are proven technologies, proven strategies, and we need to work on all levels, as indeed the film argues, and to withdraw our support from a corrupt and ineffectual model which is taking us over the brink, and put that support into creating a more resilient, localised and accountable model. However, it’s not about ‘interplanetary travel’, it’s about finding our feet, here and now, in the communities and the soils that surround us. It’s not about ‘free energy’, it’s about learning to appreciate what a precious thing energy is and learning to live well with less of it. It’s not about ‘no involuntary taxation’, it’s about taxes that disincentivise the things that are narrowing our future options, and incentivising the things we need to get in place urgently. It’s not about ‘no government’, it’s about truly democratic government using its considerable powers to build resilience, decarbonise society, shift the collective focus. The few countries in the world that are actually seriously engaging with the climate issue are those with stronger government, not weaker government. I have occasionally been interviewed for a film and then squirmed with embarrassment when I have seen the final context in which my interview has been used. I can only imagine that some of the progressives, such as Democracy Now’s Amy Goodman, who appear in this film, are similarly horrified with ‘Thrive’. It is a film that offers us nothing, and which, taken to its logical conclusion, would lead to our having thrown away the few options for actually thriving that remain open to us. It is the film equivalent of a self-published book, with no critical editor rounding off the corners, and as a self-funded film a sense that you can do what you like. Avoid. water is not free but we have plenty of it. This all disappeared from the news like it never happened. 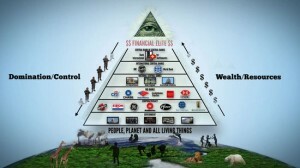 Its very simple, Money = control. There used to be kings and queens ruling giant empires and they completely controlled their populations. Humanity hasn’t changed, we are still discussing power hungry selfish species. We are simply programmed by our media and peers since birth, you are labeled a nut to simply think outside of the ordinary. Cheap or free energy will never see light its the biggest kept secret because it would be the base of freedom. Humanity hasn’t reached its full potential and never will if were poisoned by GMO’s, fluoride, vaccines and mind programmed to follow the sheep in-front of you. It makes me sick to think its 2012 and human beings are still committing brutal genocide all over the world like Syria for example. What disappears from the news like it never happens is the fossil fuel waste product, jettisoned into the ocean of are we share (25 billion tonnes a year, as if it never happened. What disappears from the news is the reason for wars – oil. And to plant the idea that we need to WAIT for free energy, when renewable energy is already working in so many of our back yards, like the solar PV and solar thermal on my roof, and community wind power, and small hydro, and the like – ALL are FREE energy uncensored, available free from a roof near you TODAY with no need to wait for anything or anyone to change other than ourselves. This film is a piece or Republican party propaganda, dressed up as an eco-warrior. What makes me sick is to think its 2012 and rich energy-addicts are still at war for oil fossil and nuclear. The new war is the war for for control of the old centralised power model. If you believe that some clever person out there has a big free clean energy power station that will solve everyone’s energy needs, and energy greed, then you continue to buy into the idea of dependency on someone else’s power – Which is the mass deception this film cunningly *almost* pulls off. You have all the power you need. (They don’t.) You have free energy from the sky today, and food from the sky too. You don’t need to wait. Millions are already living off free energy free today. The deception of the film is say than one day there will be free energy – no – free energy IS all around us – but it needn’t be the possible free energy of future – it can be the real free energy of today – renewable energy – the creative energies of the sky and the wind, that have always nurtured us since the dawn of time. Why would i want to wait for a free energy box supplied by the makers of the Thrive movie when I already have a ‘sky’ box giving me juice from my roof…. I’d like to add that : if a free energy machine were invented, and the West tried to repress it, The People’s Republic of China would pay 10 billion dollars for it. Dave Hampton: Well said. I have made this exact point with delusional “free energy” types. Why wait for the laws of the universe to be overturned when we have the solution staring us in the face (solar, wind, etc)? It’s disheartening that so many supporters of Thrive have appeared in these comments. “Keep an open mind,” they say. Sure, but we must also examine the empirical evidence rationally and reject nonsensical hypotheses. And it’s astonishing how much nonsense Thrive contains. What is most painful here, is witnessing people spend creative time and energy tearing one another down as if anyone person actually has knowledge of a substantive solution. Rather how might we find enough intelligence to discern the commonality of what is needed to collaborate on the change required, and focus there. If this forum were a nation, it would be impotently frozen, susceptible to extreme power plays. Hmmm…I believe we resemble that remark. There will be no sustainable transition anywhere until this monstrous elephant in the living room of concerned humans is grokked and kissed. Thanks for your creative time and energy – tearing people down? I disagree with you. What is most painful here is seeing intelligent people duped by a blatant piece of right wing propaganda. The film denies the science of climate change for goodness sake! Amongst other things. What’s *really* painful about all this is that our home planet is dying because we don’t have the wit or will to witness right wing propaganda dressed up as new age consciousness. Sometimes it’s necessary to collectively dismiss things like this as the dangerous rubbish it is. There will be no transition if we doubt the established decent science physics and other solid knowledge we already have – and have had for decades – of the real substantive solution that is renewable energy. And that is what this film sets out to stifle. I wish you all peace, but Thrive’s agenda is the opposite. Very well said TD2012, and thank you. And thanks for the John Robbins piece. What a lot of words have been written. I don’t think any of us are opposed to the theory of free energy. But we are skeptical because there haven’t been any measurable results. I expect that competent people would have been making use of something that could be used. I think many of the advanced of the modern world have come about by the actions of individuals. Wanting to collaborate is great, but I would find someone heading in the direction I want to go, and collaborate with that person. Coming together to *find* a solution is fraught with distractions. Think of the chronic difficulty of committees to bring their individual problem solving capabilities to bear, as a group. I commend you for your home energy solutions. I caution about your advice, though. The answer to the energy lemma is to . . use less energy. Which is revolutionary, as it essentially dismantles the consumerist paradigm of the modern world economy. The sun and wind will never replace the industrial consumption of energy that fuels today’s power and money mongers — and they will not relinquish their powers and controls without bloodshed. I would also point out that the solar and wind solutions all depend on an industrial society, or the leavings of the past industrial society, for their components and maintenance. Your solutions apply to the very small minority of people living in circumstances similar to yours; you (nor I) have the complete answer, and I suspect there are few really good, generally useful answers that everyone can use. Eat less meat? Sure. Where do we get the crop land for the greens and veggies? And how do we fertilize the crops without livestock, and without using commercial and industrial fertilizers? My point is that we are only scratching the surface of what “works” in an energy limited world, economically, militarily (poverty never stopped wars, not ever), and in life styles. It won’t be until we discover how much energy is available for industry, commerce, and communication (forget the advanced industrial technology for cell phones and YouTube) that we find an equilibrium — and “good” answers. @Brad K I’m not sure I understand your point? I’ve been helping people do and be more with less (energy and other resource) for decades – and yes of course that is the solution – to live within our renewable energy means – within our Home planet’s ‘current account’ budget (not deposit account fossil fuel or fissile.) And with respect I believe i do have a good handle on many of the solutions required globally, else I wouldn’t pipe up. The film does not seek to do encourage people to use less energy, it does the opposite: it talks about unlimited free energy, which most sane people realise would (continue to) be an utter disaster for all Earth life eve more. My total (all in) annual energy use is low – and my lifestyle is totally replicable by all. It’s around a quarter of UK average per capita, or one eight ave US citizen. Last time i flew long-haul was in 1981. My comment was aimed at the spirit of our human condition, not the detail of its execution (no pun intended…really). I think people ought to chase ridiculous visions. If the vision is not ridiculous, it’s not close enough to the border of the mind that created this current fiasco. My apologies in advance for the following statement: Certainly the mindsets driving many of these comments lack dissimilarity from the mindset perpetuating the problem you seek to solve. We’re still in brainstorming mode. The first rule is that no ideas are bad ideas. The second rule is we listen to the progenitor till we understand his or her perspective prior to offering our respectful concerns. Many #Occupy general assemblies have operated the way this forum does. They fail to engage and unite. People just leave. The one’s that captured the bully pulpit get to gloat until they realize few are left to produce viable actions with the critical mass required to get something done. Brad: Collaboration occupies a broad spectrum. If we share a vision of a just world that respects life, we are collaborators. Certainly if we join forces to direct a training for nonviolence like the 57 organizations that came together for the 99% Spring, that is also collaboration. Certain Occupy people complaining that the 99% Spring is co-opting the “Occupy” movement is moving away from collaboration. Again, I’m speaking to the spirit of our humanity to recognize our commonality. When Sri Lankans finally chose to stop arguing over the best way to gain their independence and came together under the vision of freedom, they were ultimately able to achieve their wider goal. But I said this before. Why “Zero Point” energy harnessing DOES NOT “OVERTURN THE LAWS OF THE UNIVERSE”!! The above law is referring to closed loop or isolated systems. Zero Point energy devices as presented are not closed or isolated systems, rather it is a technique that taps into the open and infinite source of power that exists everywhere throughout our universe and beyond. Some call it the quantum or unified field, it is the force within this field that keeps atoms in vibration, electrons in spin and galaxies in motion. Zero Point differs from ALL OTHER energy systems in that the source of power that it taps into is endless. No matter is burned or consumed. No law is broken. No physics cops need to be called in. But how do we know this force or field is real? A resent scientific discovery (which won a Nobel Prize) has shown that the universe is not only expanding, but doing so at an accelerated rate. If the universe got all its energy from the initial “Big Bang”, (like a bullet from a gun) at the very best, with no friction to slow it down, all matter would be traveling outward from the center of this explosion at the same velocity it received from the force of that initial “bang”. But this is NOT THE CASE because matter is speeding up! Therefore, a force must be continuously pushing matter away from the center of the universe. This points to (circumstantially for now) evidence that space itself contains quantum pressure or simply, Energy! Is there an example of a Zero Point machine in nature? Yes. If we look at the simple atom as a tiny machine, we see a perfect example of matter in balance and flowing within this quantum field. It does not consume or burn anything, it is held in a perpetual balanced flowing, vibrating or spinning state within this quantum field indefinitely. I have yet to watch my desk or coffee mug run out of energy only to have its sub atomic elements fall apart from a lack of power. All that said, going from the IDEA of a Zero Point quantum field energy harnessing device to an actual working model are two completely different things. But the IDEA is the launch pad for all things great and small and MOST PEOPLE with the idea of building a “Free Energy” machine WILL FAIL and be called quacks, cranks and charlatans, just like the majority people who dreamed and tried to build a machine that could fly. But we all know how that story ended. We should be cheering on ALL those in the race to harness Zero Point energy. Be extremely skeptical and demand hard proof!! But to throw a wet blanket on an idea, that if successful, could potentially transform the world as we know it? Rob, you are 100% dead wrong on your review of this film and I urge you to please do your own research about every topic the makers of this filmed covered. Either that “Ciscokid16” – or you are? For people who are interested in some ideas beyond anything you learned in school, which would include “zero point energy,” look into The Source Field Investigations, by David Wilcock. I’ve only read the first five chapters, which go into Clive Bakster’s psychic plants, free energy, the pineal gland as a third eye, past lives, lucid dreaming, psychic surgery, life before birth. The Source Field Investigations exposes many great secrets: DNA transformation, conciousness science, wormholes, stargate travel, sacred geometry, ancient conspiracies, multidimensional time, the Maya calendar, and a stunning new model of galactic energy fields triggering mental, biological, and spiritual evolution. We entertain ‘different universes’ whenever we watch a TV show or read a novel. Why not consider these, since there seems to be a lot of evidence to back them up! This is now officially the post on Transition Culture that has generated the largest number of comments! A rather depressing statistic I feel. Ciscokid16 wrote above: “Rob, you are 100% dead wrong on your review of this film and I urge you to please do your own research about every topic the makers of this filmed covered”. The point I made in the original post, and which many of those commenting here have ignored, is that if you produce a film that makes extraordinary claims, claims that defy science and that rewrite its basic laws, you need to produce some pretty extraordinary evidence. It’s not for me to “do my own research”, it is for the makers of the film to actually back up their arguments in the film, to show a free energy device actually working for example. It would appear anyway that Thrive is now in tatters, with the majority of its interviewees disassociating themselves from the film. I for one feel disappointed that we have all had to waste to much of our time on it when there are for more important and useful things to do. Thrive is, in fact, in anything but tatters. With roughly 3 million viewers, it has succeeded wildly in generating conversation. Contrary to reductive thinking, any conversation is good. Some conversations are more or less skillful and generative than others, however, by virtue of this thread being the most active, it ought to tell you that Thrive struck a collective nerve. I hadn’t seen the film since I posted toward the top of this thread and subsequently had read a wide variety of dissenting opinions, including John Robbins’ and, of course, this blog’s author. I was “educated” in the “fact” that the film was decidedly Libertarian, because of some of the prominent guests in the film–or that it is even more extreme to the right, for the same reason. Mind you, not because of what those people actually said on film, but because of their “religious” [include political ideology] beliefs demonstrated elsewhere. I was ready to see this film again with far more critical eye. And so I attended a public viewing hosted by Foster and Kimberly Gamble themselves. What better way to sort speculation from reality than a direct conversation? I watched the film again, with the expectation of seeing many of your complaints in a new light. You know, It simply never happened. The reactions that I read here, including yours, Rob, leave me scratching my head. I’ve see this thing 6 times (I like the F2F public discussion forums), listening carefully each time to the phrasing and framing of Foster’s and Kimberly’s words. You’re bludgeoning a straw man. The first question directed to the Gamble’s was regarding John Robbins. Kimberly recited the exact wording of the release that each person signed upon engaging the film. Can’t recite it back to you here, but I could find no fault or harm. Kimberly stated that she and Foster have invited each of the dissenters to engage in public conversation regarding their objections. She indicated, not only a willingness, but and eagerness to have a dialogue that could be constructive. They both feel that dissent is important in this mass process of collective engagement. This is the the fundamental obstacle by which #Occupy general assemblies live or die–constructive handling of dissent. Every one of you is a dissenter to something. Is our dissent there to establish we are right? Or is our dissent there to open channels to consider territory that is currently separate or disconnected from the worldview on offer? It appears that most of the people from the film currently objecting, might be more interested in their image than having the truth out. No one’s bit was manipulated or placed out of context. Perhaps some or all of those people will respond to the invitation to dialogue. Then we can all rest our assumptions. John Robbins was invited to attend the evening to voice his position. He did not attend. Apparently there are far more people energized and supported by Thrive, than the pockets of contrary opinions. So Rob, have you conversed directly with Foster and Kimberly (he was the main speaker, she was the director) over this matter? If not, why? You may not be a journalist officially, however, being that your “article” is so widely read and influential due to your rank, perhaps a bit of old school journalistic ethic might do this conversation good. That is, move it beyond inflaming divisiveness into mutual consideration. This is not a mandate for agreement, just respectful inquiry at the source. That’s what democracy can look like. Having been brought in by the THRIVE people to vet the crop circle info, I am in the thick of the controversy. People who are expressimg opinions here at least need to keep up with the data that comes from the Gambles and from the disavowers. Here’s my latest blog post about all that: http://theconversation.org/blog/thrive-is-sizzling-gambles-strike-back.org. If anyone needs to see prior releases, just get on my blog and go backwards, where I’ve posted them all: http://www.TheConversation.org. And yet, it would seem to be rather simple. Fulton’s Folly was laughed at and derided, somewhat like Thrive and “free energy”. Only Fulton’s Folly was a ship that the average guy could see, hear, and smell. It floated and performed. The first railroad engine, the first cars, the electric light. Diesel and hyroelectric generators. Fission, for goodness’ sake, power generation. The discussions are over ethics and technical perspectives. If Thrive were more than another drunken college prank, then “Where’s the beef”? It is a big, fluffy bun. Show us the meat, the substance — the example. Discussions are great — among engineers, reviewing prototypes and quality and performance issues of actual, working mechanisms. Sure, Thrive folk want to spin the nay-sayers. I am sure you are disappointed at folk that don’t value the perspective you hold over all else. I am disappointed that you are spinning discussions when I ask for a working, useful device. 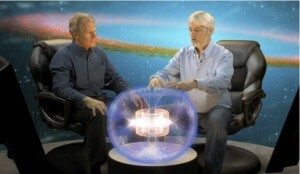 BTW, I notice that the Tesseract “free energy” is the evil device in the plot of the new Avengers movie. I find the fictional “doorway” scenario as substantive as any other aspect of Free Energy to date. Though I have a lot of respect for Rob Hopkins it pisses me off when we, who do our own deep research, who think our own independent thoughts, who think critically, who come to our own conclusions, who work tirelessly to be the change we must see, get labeled a (pick one or more) libertarian, egalitarian, liberal, conservative, tea party hack, red, blue or ‘jerk’ because of our independently derived beliefs that there really is an Agenda to deceive, control and depopulate the many. It is accepted fact by many that Nikola Tesla did discover, and was able to create, ‘Free Energy’ in 1905…and then had his lab and his life destroyed by the Robber Baron J.P. Morgan (see J.P. Morgan Bank of today) because the powerful elite at the time would not be able to make money on ‘free’. It is also fact that our school books teach that Thomas Edison discovered electricity when it is actually the alternating current we use today was of sole the design of Mr. Telsa. In gruesome capitalist fashion, Mr. Edison used to torture and willingly killed puppies and other small animals at World’s Fair’s using Telsa’s AC to discredit him. He also maneuvered to have the first electric chair in prison use AC to show the world how ‘dangerous’ it was. One should also re-search the work of Eugene Mallove, former MIT Chief Science Writer, who was murdered after he was ridden out of MIT and founded the publication “Infinite Energy” in 1995. Now am I going to be labeled a ‘jerk’ because I feel is truly incredulous that we still run on combustion engines that have not been improved upon in 110 years, that in the 1920′s we had hyper efficient electric trains everywhere until GM, Firestone, Mack Trucks and Standard Oil (Rockefeller) formed the United Motors Transportation Corp. and bought up all the electric trains in America so that the consumer must purchase only personally polluting vehicles (PPV’s) and that the same companies are in power today? Bottom line is that we do have the ability to biomimic Nature’s ways of creating limitless energy but that it will never be made available to the masses in a capitalist, endless profit, endless war, economic structure that exists. As for the ‘one size fits all’ attack on Foster Gamble. Is it really hard for people to understand that Mr. Gamble is speaking out directly against his own family interests when he speaks of a planned eugenics program and a conspiracy (two or more people planning a crime) to depopulate the world through vaccines, food chemical crapification and metal soil spraying, light defusing, chemtrail programs? Now some of us independent thinkers have followed closely the propagandist piece by Al “Global Warming” Gore and was awarded the same Nobel Peace Prize as Endless War Obama. Then suddenly the terminology, without question, gets renamed to ‘Climate Change’ without questioning, which closely follows the chill of 2010 when snow blankets the Northern Hemisphere and snows in 49 states on the same day. Co-incident name change or what? Additionally questions in my mind were raised when the Climategate Scandal occurred directly before the Copenhagen Climate Summit, where the elite at the Climate Research Unit of East Anglia are caught directly falsifying data to fit the elite Agenda to develop a Carbon Trading Exchange in Chicago (home to Obama, Emanuel) to be run by …wait for it..wait for it…..Goldman Sachs, et al. Another Co-incident? Yes, we as anthropogenic humans are causing destruction of our planet through our polluting, smogging, chemtrail spraying, rain forest burning ways. How can we not be? Yet, we also must understand that the Earth does change temperatures over history, significantly at times. The polar caps have melted previously, long before man came along. That natural occurring earthquakes do occur as the planet grows and expands and that sun spots and solar flares, do continue to cause changes in our weather and lives. Yes, we must re- learn to conserve, reduce, renew, recycle, localize our economies and take personal responsibility for our health of our OneWorld. We must re-learn the ways of the true natives of America, who cared for these lands, where the fish still came up the Navarro river for over 6,000 years, if we wish for our children to have a chance with what a mess we are leaving them. As for the credibility issue of ‘Thrive’ the most significant blowback I get comes from his discussion of the alien issue. Well if I were to believe someone who would know i would believe a guy like Edgar Mitchell, who was commander of Apollo 14, who upon return to Earth in his space shuttle had a ‘epiphany’ about the plight of Man (see his DVD ‘Message from Space’) who quit the Apollo Program upon his return to Earth to form the highly acclaimed Noetic Science Research Institute located down the road in Petaluma. One can also google ‘Astronauts, Pilots, etc. and UFO’s’ to see other spacemen who willingly admit that we are not alone and you can re-search the excellent work of William Cooper, who was a top security cleared Navy Intelligence expert, who was ‘allegedly’ murdered for his work in disclosing the truth about the UFO’s, the true reasons for the creation of the NSA and CIA. Another extremely credible expert in the excellent movie ‘Thrive’ is Nassim Harimein, who after being derided and dismissed by the science world due to his outlandish theories of Unified Fields, was awarded by the same physicists in 2009 for his work to out ‘Einstein Einstein’ on his work titled “Quantum Mechanics, Relativity, Field Theory and Gravity. That Mr. Harimein completely agrees with Mr, Gambles ‘Torus’ model should not be dismissed so readily. Now as for the question of can the few control the many for so long?…would I also be called a ‘jerk’ for asking the question of an alternative Agenda, that if I wrote a document starting with the words ‘We the People’, why would I then, with my fellow elite white guys, only put laws into effect entitling 4% of the population (white men owning land) to be able to vote as well as willingly write law allowing enslaved African Americans to be described legally as 3/5th’s of a person? …and if I and my fellow Patriots had just fought a bloody war of succession for independence from the hated Brits, knowing if I lost I would die, just after achieving my independence, why would I then go and choose the exact same colors of the enemy flag to symbolize my new nations colors??? Another silly magical-thinking, self- propagandizing, smooth smirking, self-aggrandizing Libertarian bullshitter.. If You didn´t hear the message first time thank THRIVE you got a second chance. Make up your own mind but let´s agree to choose Truth over blind ignorance and denial. I see that the website also suggests that publicly funded health system make people sick whereas the insurance based US one is focused on keeping people well. Not really borne out by the evidence of the health of the US public and especially the complete neglect of the poorer part of the population. This, and the suggestion on the website that climate change isn’t man-made is enough to make me worried about how people swallow this film hook line and sinker because it is critical about what is happening in our world. @J.Lee…Why did you stop short of the goal? Did you give up on enlightening the masses? I suppose so. Let me state this…those of you who deny the existence of a New World Order need only read the obverse of the US dollar bill. The truth is hidden in plain sight. Rest assured however, that the truth is even more complex and shocking than most people would ever accept. There is absolutely no doubt that most people choose to passively and blindly accept the common doctrine that defines “the norm” because to believe otherwise outside the concepts of such social and philosophical constructs is subject to scorn and ridicule. Yet if history has taught us anything it is that the masses are generally always wrong. It is the insight of a few brilliant and intrepid souls who shed light into this dark world, and we despise and denounce them for it. Bruno was burned at the stake. Do you know why? Galileo was imprisoned for his beliefs. Einstein was shunned when he first introduced his ideas. Tesla, the most remarkable visionary of his time, was ridiculed because his contemporaries had no concept of what he had created. There was a time men believed their country to be the limits of the world. There were dark days when people worshipped the sun as a god. There were ages when the atom was unknown, and diseases were believed to be the work of the devil. Only 25 years ago, the very idea that extrasolar planets existed was unacceptable. Now, the overwhelming burden of proof compels us to admit this foolish error. Let us not even explore “the world is flat” phenomenon. I thank those of you who have already pointed it out. Electricity was a force unknown, misunderstood and unharnessed until Maxwell and Faraday described it and Tesla tamed it. So laugh, if you must. The truth is inevitable. It cannot be stopped. There will come a time when mankind discovers the means by which the elemental forces may be harnessed to provide power. It is my personal opinion that Einstein was wrong about gravity, and as such has set us on a path which cannot be reconciled with Quantum Theory in its present context. For example…have you ever wondered…if hydrogen atoms aggregate under the influence of gravity in the genesis of a star, then where did that focal point gravitational force arise from? Why is the gravitational pull at that point excessive relative to the surrounding fabric of space time. Note, the issue here is the question of what existed in that specific point which generated the enormous gravitational force required to aggregate and compress the hydrogen atoms and induce nuclear fusion. More interestingly, once a supermassive star is in its death throes and sheds its mass and energy in a hyper nova blast, as well as ejection of its corona, why does the gravitational field increase even more despite the loss of significant mass and volume? In this simple thought exercise I have presented to you that gravity cannot simply be described as the warping of loco regional space-time by mass or volume. In the case of the supermassive star degenerating to a supermassive blackhole, gravity is increased, despite the loss of both mass and volume. One may argue for density, however does that really account for the total increase in gravity? Well, that is only one issues with general relativity. Tesla himself dismissed it and I would consider Einsteinian relativistic theory in the same context as Newtonian Mechanics…true…up to a certain point, but an incomplete description of the multiverse at best. Sadly, it is the commonplace acceptance and reliance on relativity that has handicapped our progress on many frontiers. In Academia, free thinkers exploring the fringe of science are sabotaged instead of supported. Why? Because the mindless masses fear that which may disturb the status quo. The world is content to rest assured in the belief systems on which it has come to rely upon as the framework for its current concepts. Our unwillingness to embrace new knowledge and change shall be our detriment. I have heavy criticisms of Thrive as well, but I would never suggest someone stay away from it. 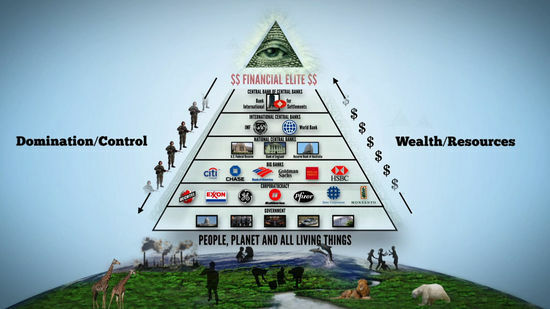 There are very interesting concepts contained within, and although some of them are perhaps too specific to ever be confirmed, or shown to likely be true until otherwise falsified (such as the specific families that control the banking elite-whoa man take a step back) there is a lot of heavily supported information here, even in the mainstream. Also, zero point energy does not at all contradict the laws of thermodynamics. 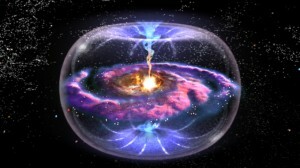 It does not create energy, it utilizes magnetism to create energy. Solar panels do not create energy when they react with the sun’s rays. Learn some physics before making such an uninformed conclusion. Zero point energy is a very real phenomena and any respectable physicist would tell you the same. The question is how we use it and whether or not we can use it to create electrical energy. The oddly specific details in regards to the banking elite could be likely true or likely false, but you sir are not the authority on the validity of information. You have no more or less information to provide for the discussion of the topic, so keep your mouth shut. There are far too many people with opinions that are far too ignorant, and the more ignorant they are, the more opinions they have. And some are manipulative in the extreme. The film is a botch potch of ideas. It’s slips dangerous pieces of dangerous right-wing (highly commercial) bile in with a palatable delicious organic soup of ideas. Thrive has in common with the “Heartland” ‘Institute’ that the makers do not believe that humankind’s consumption of fossil fuels is causing Earth’s atmosphere any problems atall. They think it’s fine to go on burning fossil fuel and that climate change is a conspiracy theory by the new world order. Well maybe, but wouldn’t that be convenient for a global economy whose lifeblood is oil. Noone is saying the film doesn’t contain some good bits. The many good people who were duped into appearing in it for example. But overall it’s simply a clever piece of subtle trickery, that attempts to connect some dangerous myths that will trap us, to some powerful memes that will set us free. Good luck spotting the difference. Thanks for all the comments to this thread. It does feel to me rather as though we are going round and round making many of the same points here, so with the greatest respect to everyone who has contributed, I am going to close this thread for future comments and draw the conversation to a halt. In the interests of balance, if you are still interested in what, as I’m sure you have gathered, I thought was a dreadful and dangerous load of rubbish, you might either watch the film for free and explore its website and associated arguments at http://www.thrivemovement.com, or you might check out the excellent http://www.thrivedebunked.wordpress.com for the other side of the story, and the demolition of much of its contents.